Just a reminder. 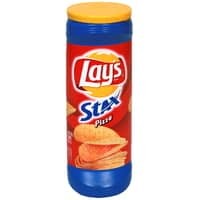 Every Thursday through December 12th, Lay’s will be giving away 1,000 coupons for free Lay’s Stax Crisps on their facebook. Today’s game is based on the Seahawks vs the Cardinals. The giveaway will go live within the first 15 minutes of the first scoring play.